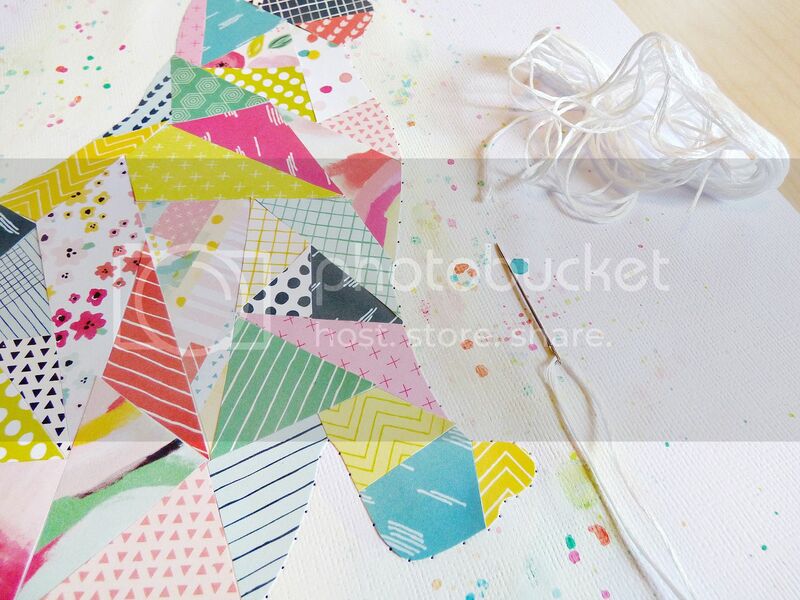 DESCRIPTION: I saw a pieced dog quilt on Pinterest and thought I'd make a pieced paper cat layout! JOURNALING SAYS: I love my fat cat Rachel oh so much! After she got fixed she gained so much weight and so I say: so much more to love. She's my favorite kitty cat! 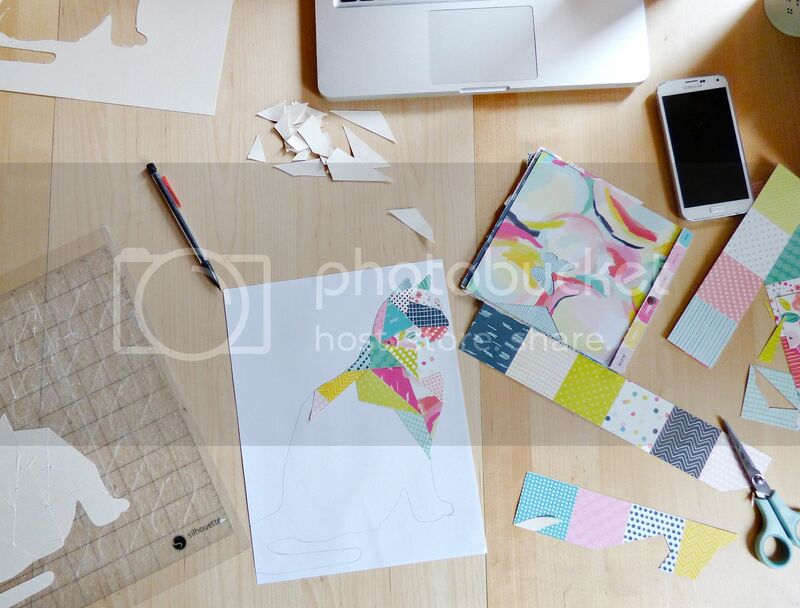 HOW TO: Die cut my cat cut file from scratch cardstock. 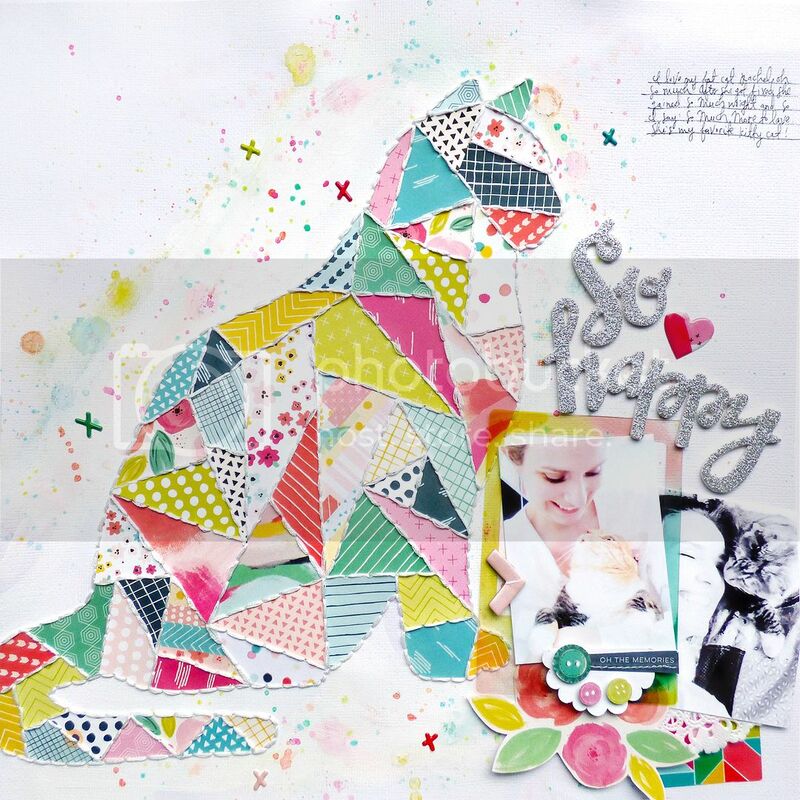 Use the cut pieces as templates to hand cut coordinating pieces from patterned paper. On more scratch paper (I used a regular piece of copy paper) trace the outline of the cat and begin filling it in with the patterned paper pieces. 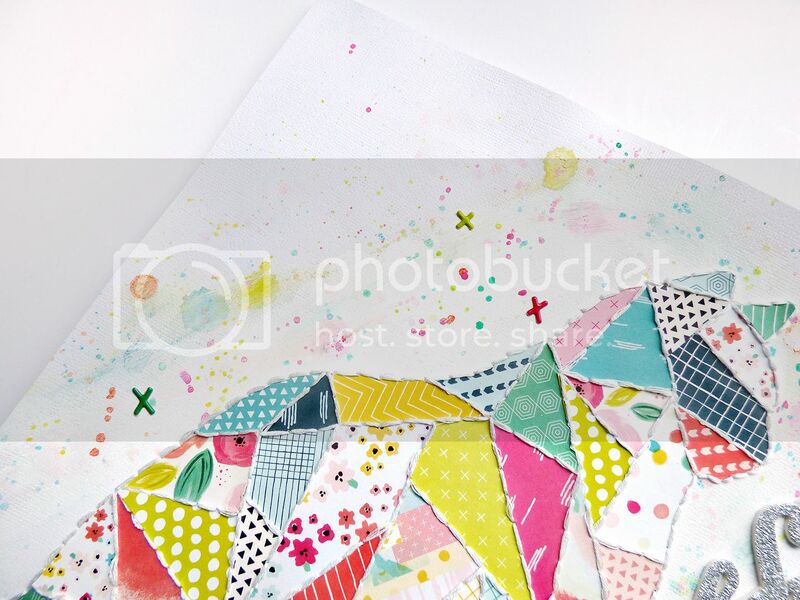 On white cardstock, make a mixed media background with white paint and splashes of watercolors (I used colors pulled from Fancy Free!). Trace the cat once more onto the background where you want it and then carefully piece the cat once more inside - you could skip placing the pieces on the scratch paper to begin with, but I wasn't quite sure where on the layout I wanted it to be, so I created it on scratch paper first. Poke holes about 1/4" apart all the way around the cat and between all the paper pieces. Backstitch through the holes using white thread. 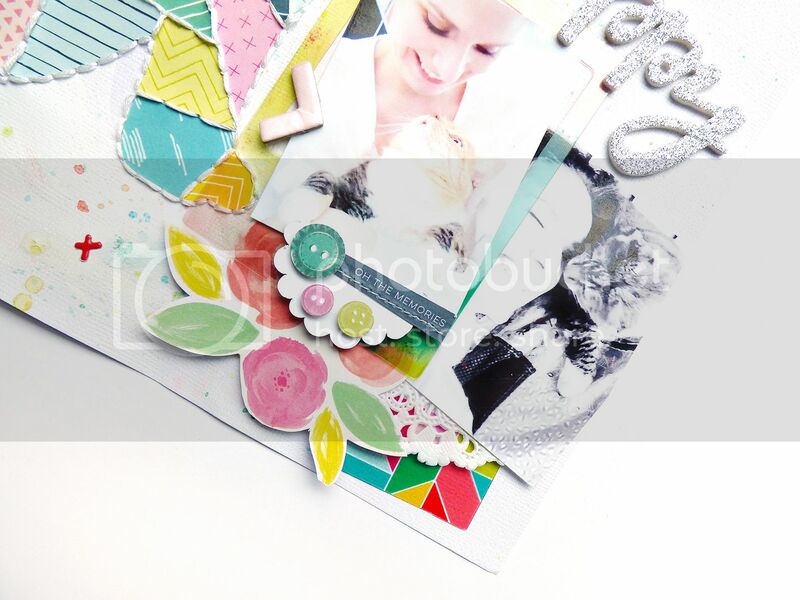 Layer photos and embellishments on the bottom right corner and journal on the top right corner with a black pen. Now I gotta go find and squeeze my cat! I am convinced there is NOTHING you can't do!!! This is ABSOLUTELY amazing!! I loveeeeeeeee that photo of you and Rachel and LOVE LOVE LOVE the cat!!! GORGEOUS!!!!!!!!!!!!!!! Thank you so much for sharing the cut file! It will be perfect for my sweet kitties :) Love your layout so, so much that I just may have to lift it. Oh. my. word. This is mind blowing. I LOVE how you did this. STUNNING layout. That cat is amazing!! LOVE how you did this.